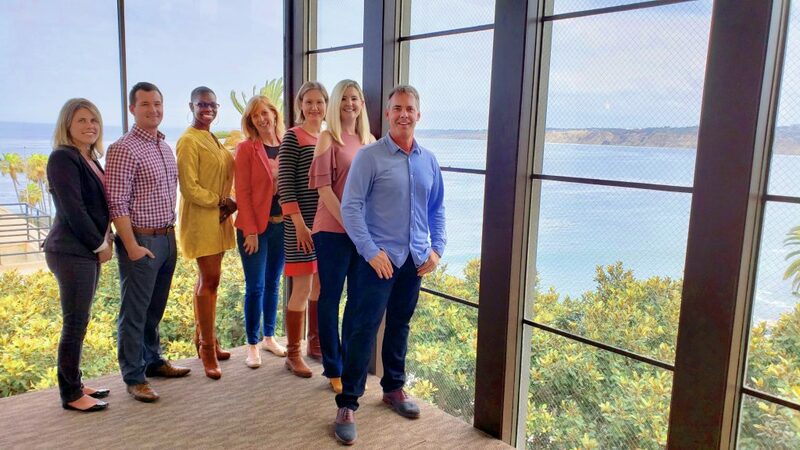 LA JOLLA, Calif.; May 24, 2018–(W)right On Communications, Inc. has moved its local head office into new quarters overlooking La Jolla Cove after 10 years in its former Solana Beach location. The San Diego public relations agency’s new address is 1200 Prospect Street, Suite G100, La Jolla. The office is equipped with a pair of bicycles and kayaks to encourage the team to enjoy their land and sea surroundings. To celebrate the move, the (W)right On Communications team will participate in San Diego Coastkeeper’s June 9 La Jolla Shores beach cleanup at Kellogg Park. Additional volunteers are welcome and pre-registration is not required. For more, visit www.sdcoastkeepers.org. About (W)right On Communications, Inc. Founded in 1998 with client partners coast to coast, San Diego public relations agency and strategic communications firm (W)right On Communications provides award-winning public relations, community outreach, graphic design, social media, employee communications, video production, presentation and media training, and crisis communications services to a diverse client community in the B2B, energy, healthcare, hospitality, infrastructure development, nonprofit, professional services, technology and clean tech sectors. For more, see www.wrightoncomm.com.